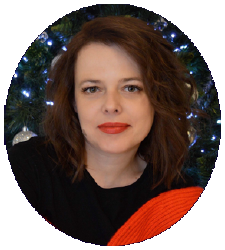 ANA URSACHI (born in 1977) is a Moldovan attorney, the founder of the public movement #NuMaTem (‘I am not afraid’), activist of anti-government protests organised by the party ‘Dignity and Truth Platform’. Studied law at Free International University of Moldova. In 2001, she obtained her admission to practice law. Ursachi became famous due to her participation in the defence of victims of politically motivated prosecutions in Moldova. She is the lawyer of many Moldovan opposition politicians and civic activists (in particular, Alexandru Machedon, Sergiu Cibotari, Grigore Petrenco and others). In 2016, Moldovan authorities brought doubtful criminal charges and initiated a smear campaign against Ursachi. Because of that she was forced to leave the country. International human rights organisations and Members of the European parliament stated that criminal persecution of Ana Ursachi is politically motivated and is connected with her professional and public activity. BAKHYTZHAN TOREGOZHINA is the President of the Public Foundation ‘Ar-Rukh-Hak’. She is a human rights activist and an expert who actively works in the field of respect for the rule of law and observance of human rights. In 1999, she began to promote the development of non-governmental organisations in the Republic of Kazakhstan. In 2000, she initiated the founding of a network of human rights organisations that carry out their activities in various areas of democracy and protection of human rights and freedoms. In 2001, she conducted a campaign of advocacy for human rights in Kazakhstan. In 2004, she was the initiator of the youth movement ‘Kahar’ for the support of change, which, thanks to its activities, became the most popular student group and led to the creation of many new youth organisations. In 2005, she organised the Alliance of Non-Governmental Organizations to monitor the parliamentary elections. In 2007, she held summer schools of democracy for students and youth and founded the movement of student ombudsmen. In 2009, in higher education institutions, she led to the implementation of a law-explaining programme, raising the level of legal culture and informing students about jury trials in connection with the introduction of the jury in Kazakhstan. 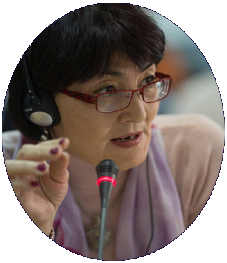 In 2012, she was one of the founders of the ‘Sailau’ Coalition of NGOs, aimed at monitoring the elections to the Parliament of the Republic of Kazakhstan. Bakhytzhan Toregozhina promotes the right to peaceful assembly. She participated in the drafting of an alternative law ‘On the Constitutional Court of the Republic of Kazakhstan’, the law ‘On Elections of the Republic of Kazakhstan’ and the law ‘On Peaceful Assembly’. From 2012 to the present day, she has been pursuing the project ‘Alyan Tirek’ for humanitarian and legal assistance, and support to political prisoners in Kazakhstan. She is also a member of the expert council on the status of ‘political prisoner’ and ‘prisoner of conscience’. WILLIAM BROWDER (born in 1964) is the founder and CEO of Hermitage Capital Management. He was the largest foreign investor in Russia until 2005, when he was denied entry to the country for exposing corruption at Russian state-owned companies. In 2009 his Russian lawyer, Sergei Magnitsky, was killed in a Moscow prison after uncovering and exposing a US$ 230 million fraud committed by Russian government officials. 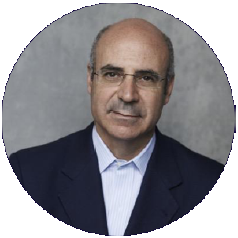 Because of the impunity in Russia, Browder has spent the last seven years conducting a global campaign to impose visa bans and asset freezes on individual human rights abusers, especially those who played a role in Magnitsky’s false arrest, torture and death. The USA was the first to impose these sanctions with the passage of the 2012 “Magnitsky Act.” A Global Magnitsky Bill, which broadens the scope of the US Magnitsky Act to human rights abusers around the world, was passed at the end of 2016. Estonia also passed a Magnitsky amendment in December 2016. In 2017, Magnitsky legislation was approved in UK, Canada and Lithuania, while in early 2018 in Latvia. In February 2015, Browder published the New York Times bestseller, Red Notice, which recounts his experience in Russia and his ongoing fight for justice for Sergei Magnitsky. 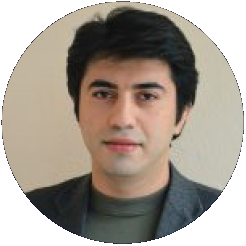 EMIN HUSEYNOV is the founder and chairman of the Institute for Reporters’ Freedom and Safety (IRFS). Under Huseynov’s guidance, IRFS launched dozen of campaigns against Impunity and established the Objective TV, which is an independent online news source dedicated to providing alternative human rights news from Azerbaijan to counter the increasing government control of traditional news sources. Huseynov has also led efforts to protect press freedom on the Internet as journalists increasingly work online. Prior IRFS, Huseynov worked with a team of local journalists to publish online articles and news briefs about business, economics and politics for the premier news and information agency in Azerbaijan. His human rights record includes up to ten years in Azerbaijan, with particular emphasis on protection of media rights and freedom of expression. Huseynov holds a Master’s degree from Azerbaijan State Economic University. LEYLA YUNUS (born in 1955) is the Director of the Institute for Peace and Democracy (IPD), an independent public policy think-tank and a human rights organization, which she created in 1995 in Azerbaijan. In 1978, she graduated at the Azerbaijan State University, History department. Leyla Yunus is a Doctor of History and her thesis was written on the topic: "English-Russian Rivalry on the Caspian Sea and Azerbaijan in the First Part of the 18th Century". She worked at the Institute of History of the Academy of Sciences of ASSR till 1992. She began her work in the sphere of Human Rights in Azerbaijan during the Soviet period and also worked as a special correspondent in Azerbaijan for the non-formal "Express Chronicle" newspaper (published in Moscow) between 1987-1991. She was a member of illegal movement of “National minorities against bolshevik regime”. In 1988 Ms Yunus was one of the founders of the National Movement for Independence, the Popular Front of Azerbaijan. She was the first and only female member of the Board of the Popular Front of Azerbaijan and subsequently she was the first female leader of a political party in Azerbaijan. She was the Deputy of Minister and the Head of the Information and Analytical Center at the Ministry of Defense (1992-1993). She has been involved in the pro-democracy advocacy efforts in Azerbaijan as well as internationally. She is also a member of OMCT General Assembly. Between 2013 and 2015, she received several international honorary awards; among them: Winner of the International Theodor-Haecker-Prize, Chevalier of the French Legion of Honour (2013), Polish Sergio Vieira de Mello Award (2014) and Winner of Battle of Crete Award (2015). 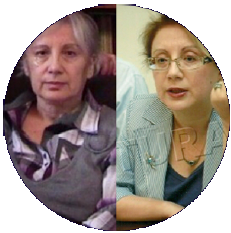 Leyla Yunus created the list with the names of all political prisoners in Azerbaijan from 1995 till 2014. From 30 July 2014 till 9 December 2015 she was herself imprisoned, along with her husband Arif Yunus. Since May 2016 she has been living in the Netherlands and continues to work at the IPD, which is registered in the Netherlands. 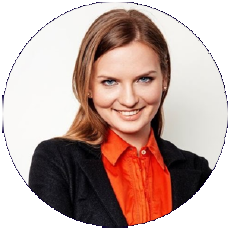 LYUDMYLA KOZLOVSKA (born in 1985) is a human rights defender, initiator of the establishment of the Open Dialog Foundation, and its President of the Board since June 2010. She is a graduate of Finance at the State Technical University in Sevastopol, Ukraine and The School of Arts and Humanities at the University of Wales in Bangor, the United Kingdom. She is a Polish government scholarship holder and Ph.D. student at the Department of History of the European College of Polish and Ukrainian Universities (an educational institution, founded, in particular, by the Marie Curie-Sklodowska University and the John Paul II Catholic University of Lublin, Poland). Since 2013 Kozlovska has been a coordinator of the actions in support of the reform of International Criminal Police Organization (INTERPOL), whose mechanisms are repeatedly misused by authoritarian states. She is one of the coordinators of the international advocacy campaign for the release of the Ukrainian political prisoners from the #LetMyPeopleGo list kept in Russia or on the territory of illegally occupied Crimea. DMITRY SOTNIKOV Dmitriy Sotnikov is a Russian lawyer. He is engaged in defence of the victims of politically-motivated criminal prosecution, in particular, Aleksandr Kostenko, Evgeny Kurakin, and Natalia Lutovinova. Sotnikov is also a lawyer for Vitaliy Buntov, who won the case against Russia in the ECHR and who has been repeatedly subjected to torture. 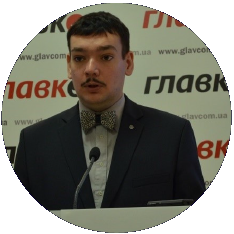 In his lawyer practice, Dmitriy Sotnikov widely uses the approach of publicising trials. In 2013, he was illegally deprived of his lawyer's license, but in 2014, he managed to get it restored. In 2017, judges issued at least six private resolutions against Sotnikov, accusing him of “neglecting and disrespecting the work of the court” and “violating the rights of participants in the trial.” Physical violence was used to remove Sotnikov from the courtroom. Due to the public criticism of the work of the court, the assistant judge filed a lawsuit against Sotnikov amounting to 7,500 euros on charges of libel. THE ARRESTED LAWYERS INITIATIVE is a group of Turkish lawyers who are forced to live in exile after the government mass crackdown on human rights defenders and lawyers across Turkey. They have currently set up a network of lawyers to defend and advocate the rights of thier colleagues jailed in Turkey. In 77 of Turkey’s 81 provinces, lawyers have been detained and arrested on trumped-up charges as part of criminal investigations orchestrated by the political authorities and conducted by provincial public prosecutors. 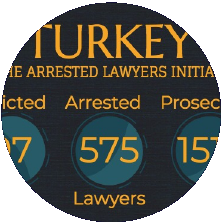 As of today, 1506 lawyers have been prosecuted, 572 lawyers have been arrested 80 (raised to 97) of whom have been sentenced to long imprisonment. Some of the arrested lawyers have been subjected torture and inhumane treatment.